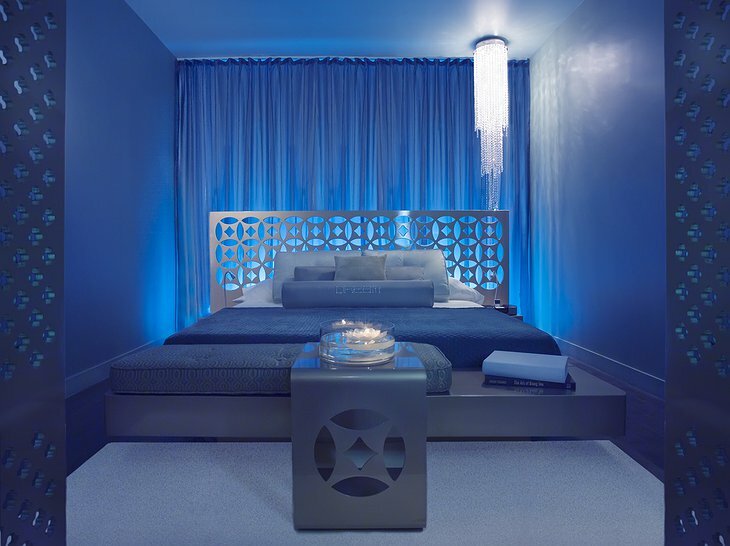 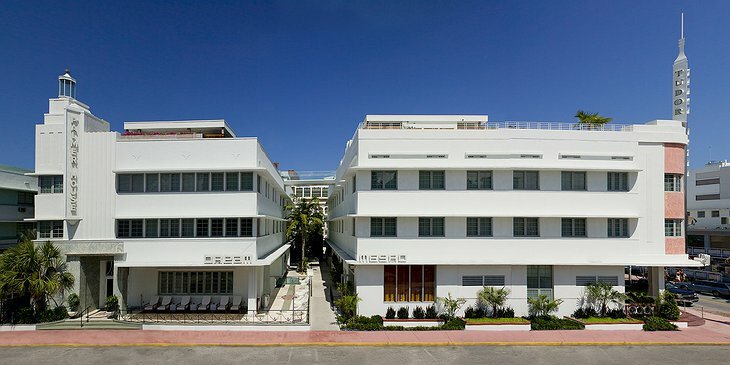 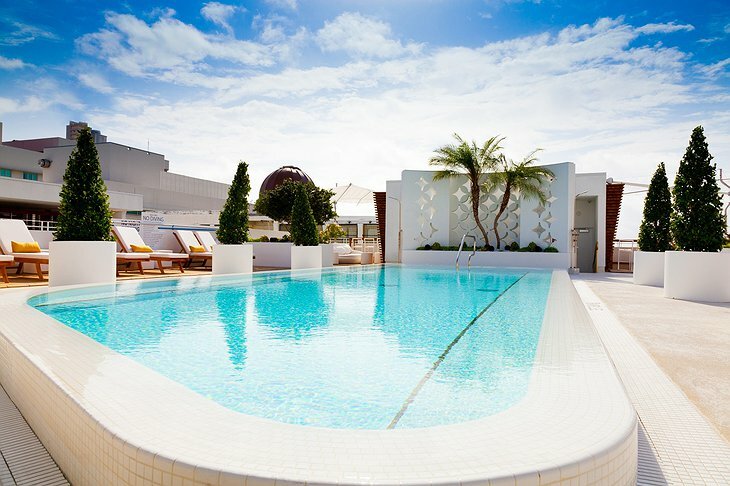 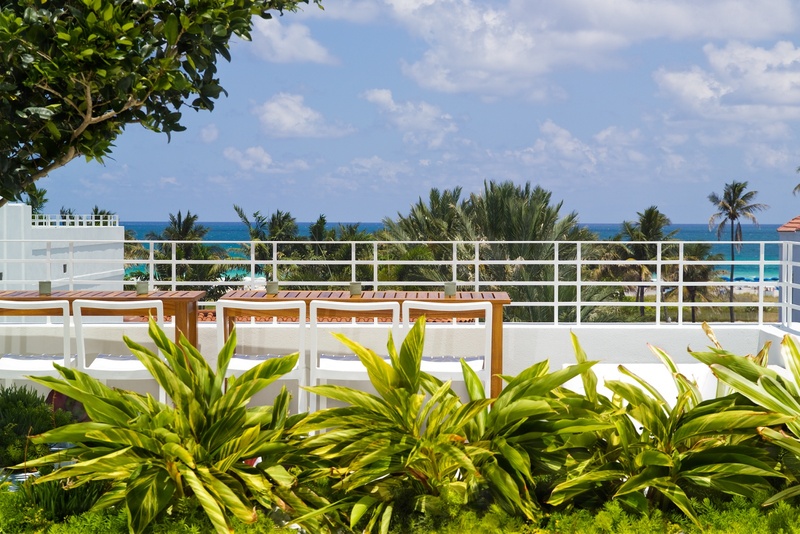 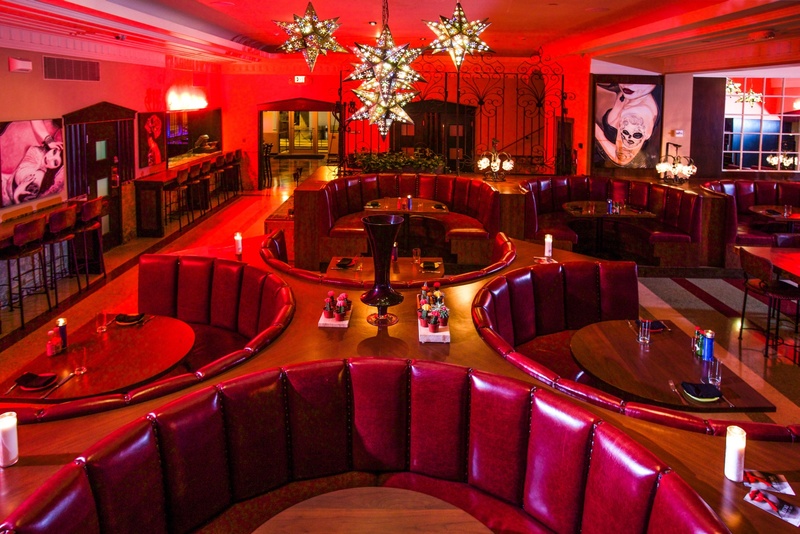 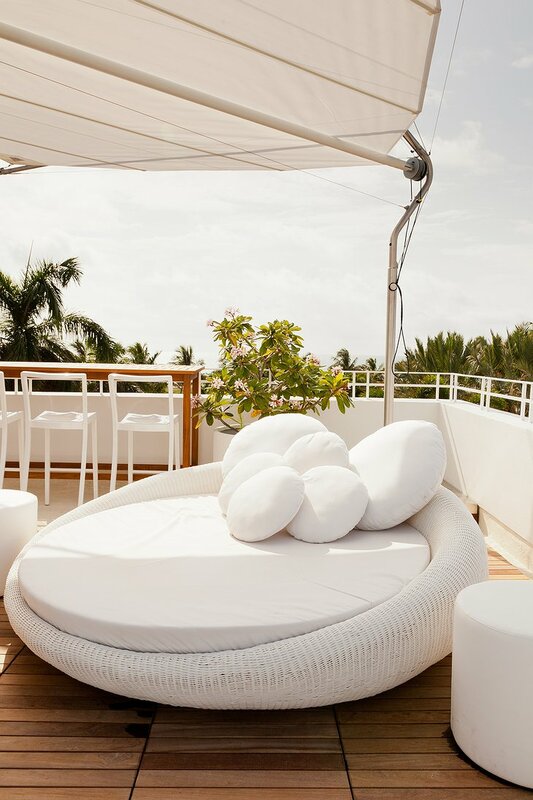 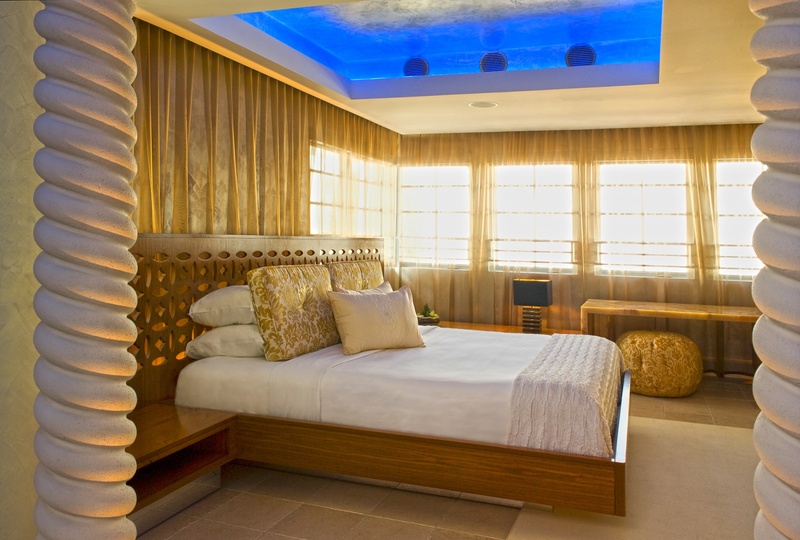 The Dream South Beach Hotel is a dream come true if you like art-deco luxury and style. Just yards away from a white sand beach, the hotel has 108 guest units of designer quality, with the latest in modern luxuries, like flat screen TVs, high speed WI-FI, and stocked mini-bars for your enjoyment. 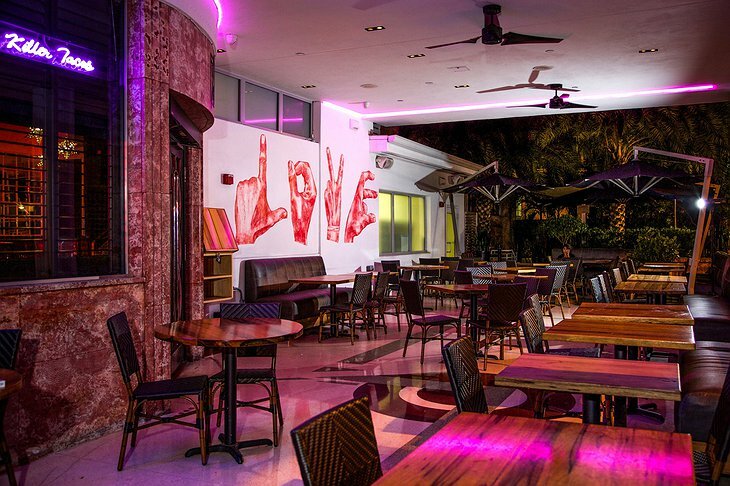 The pool has a distinctive 1970s chic style to it, while the Naked Taco is a Mexican themed restaurant. 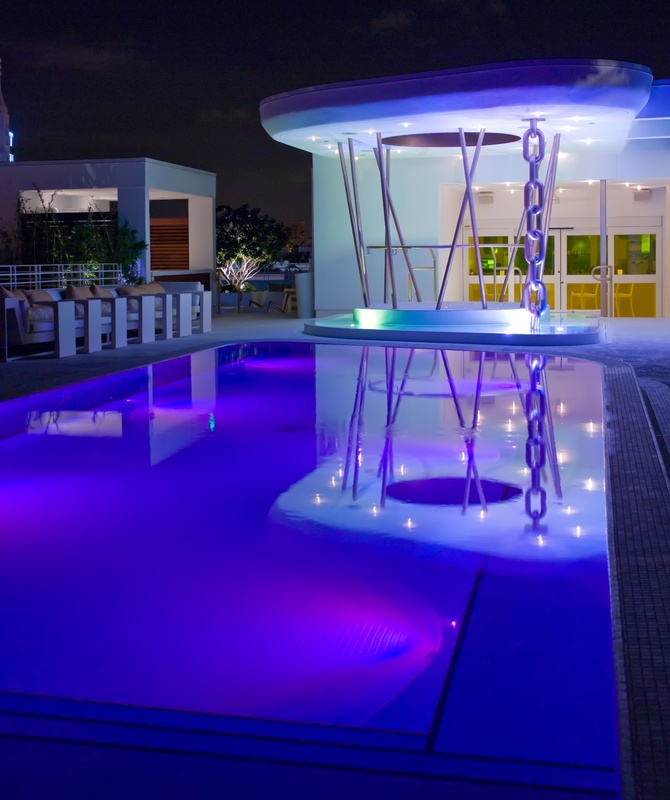 There is a rooftop pool lounge called Highbar that gives you a splendiferous view of the Miami skyline while seating nearly 300 people. 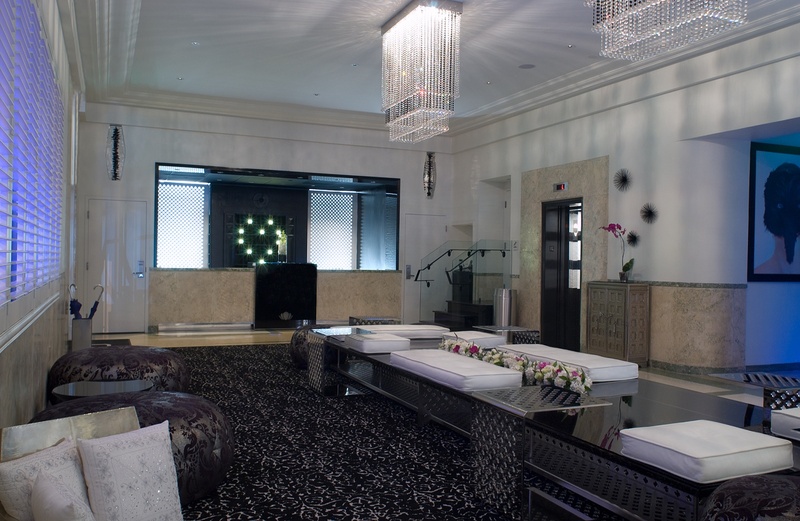 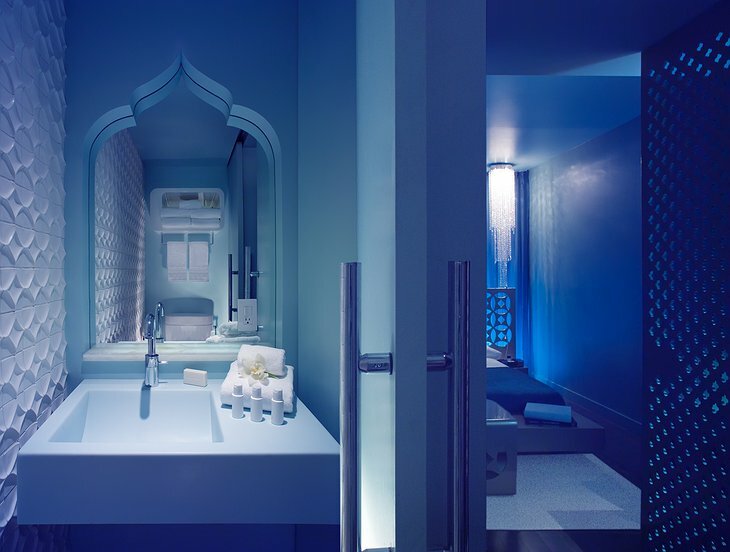 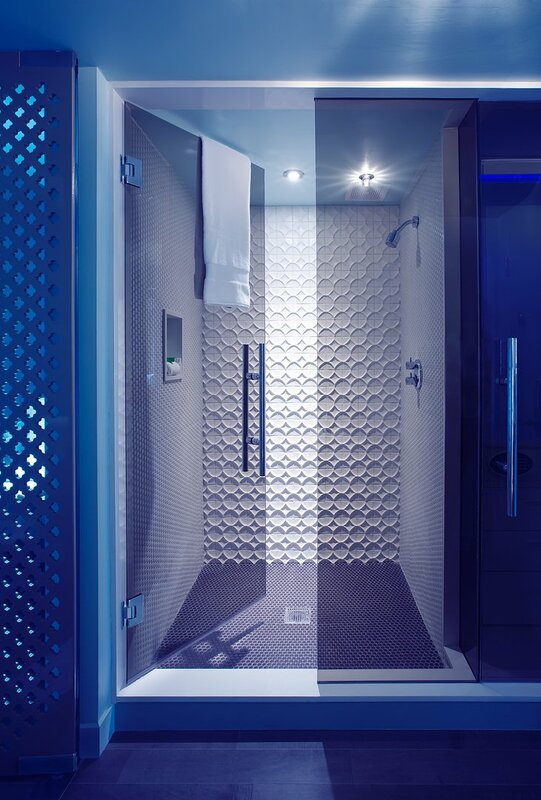 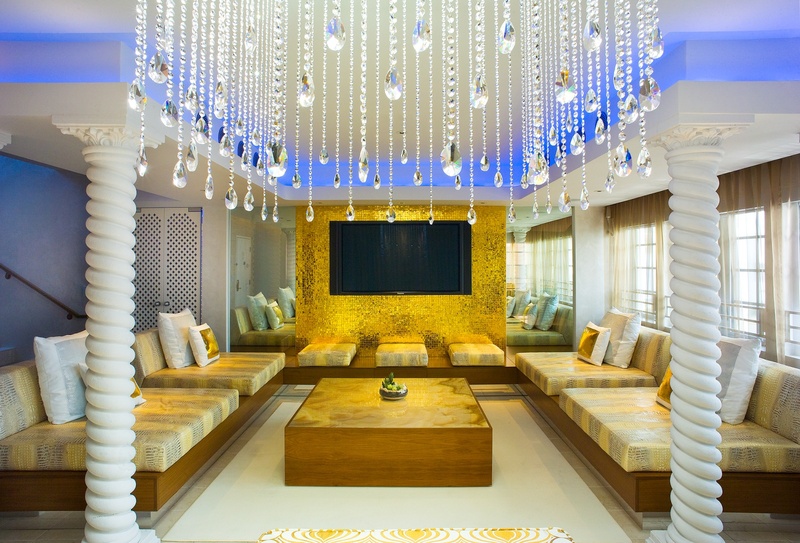 For spa treatment, the hotel offers plenty of modern beauty treatments, as well as manicures and pedicures. Nearby facilities include the Art Deco Welcome Center and Wolfsonian Museum. 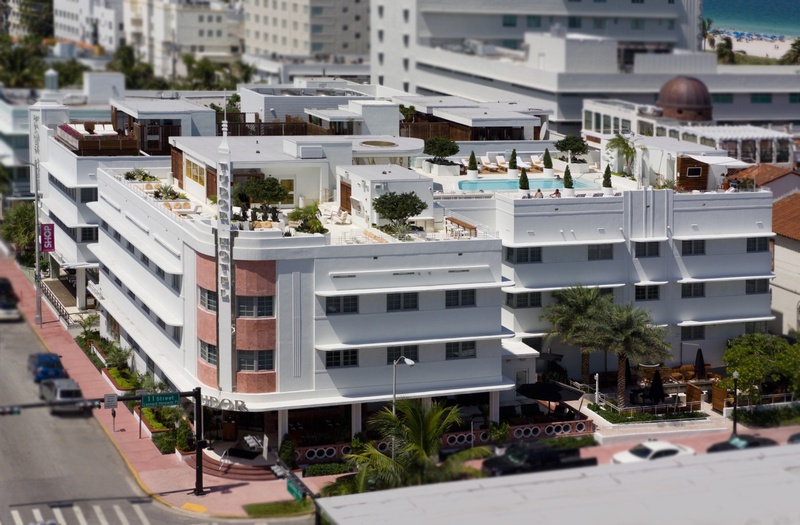 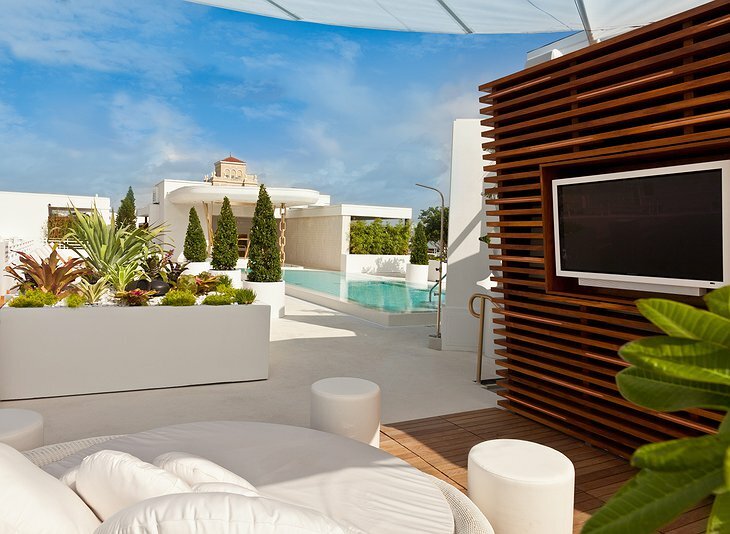 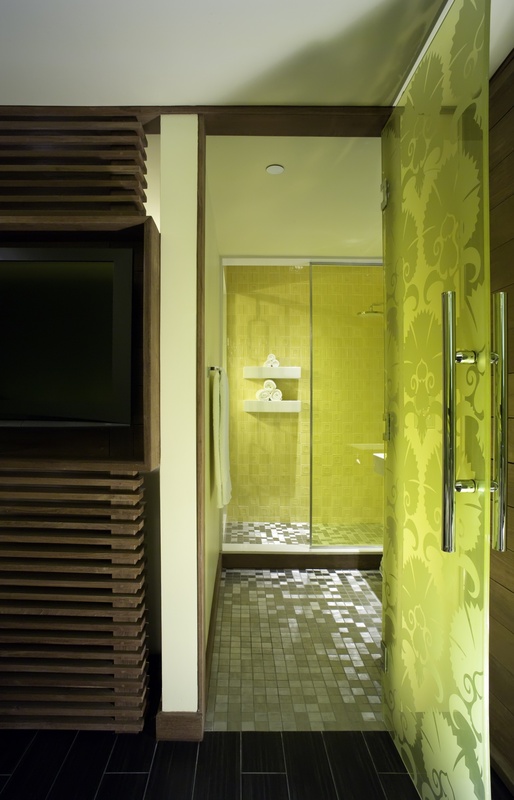 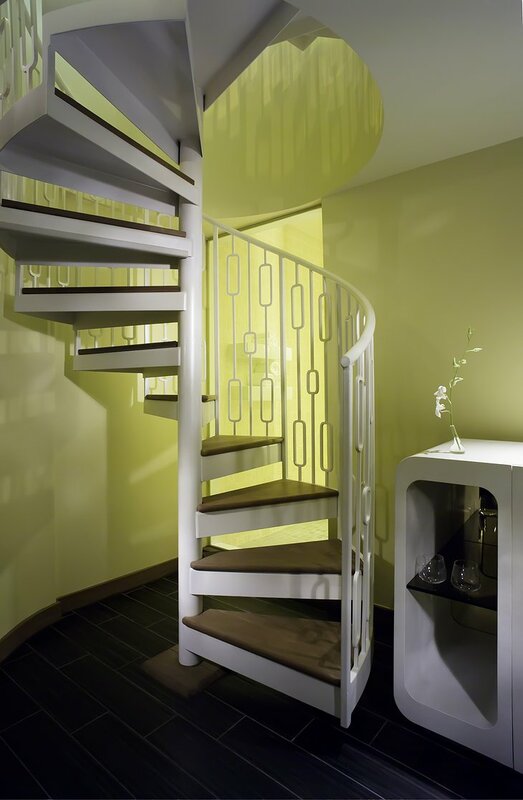 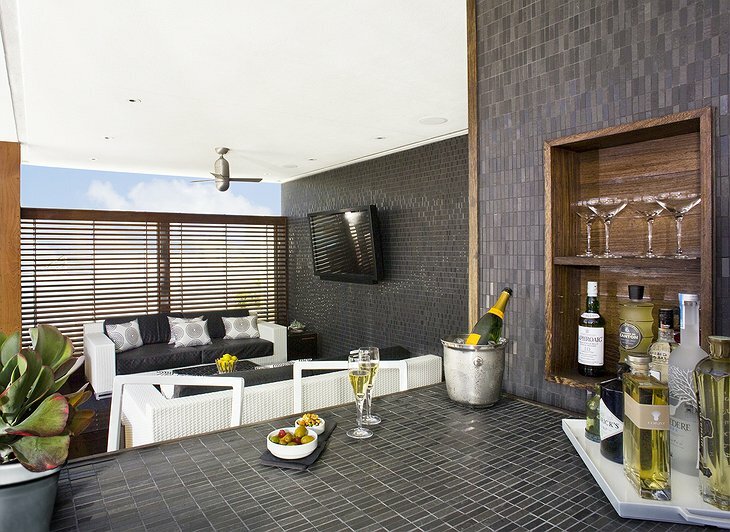 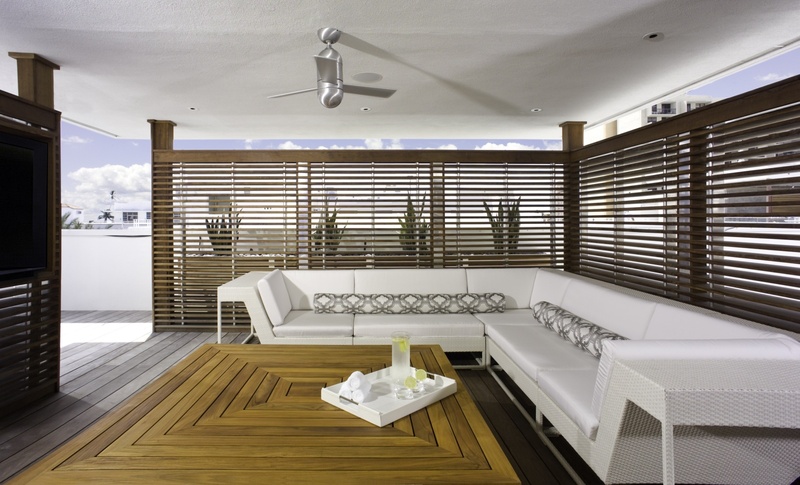 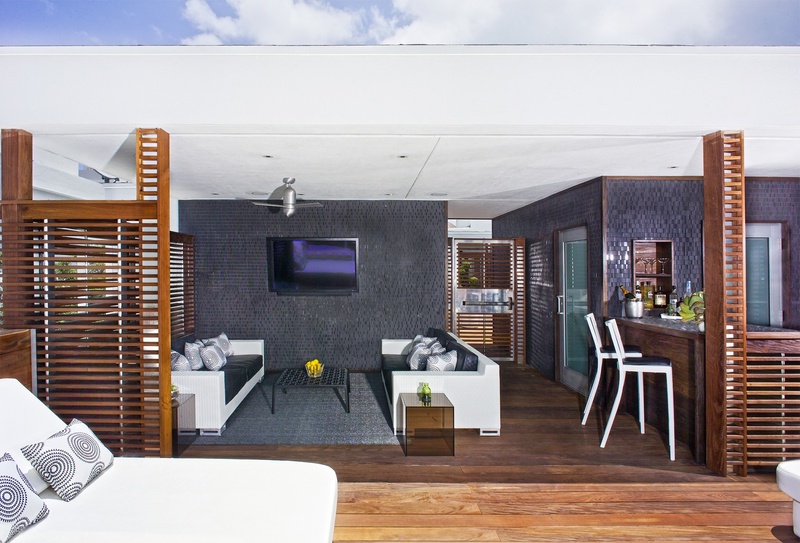 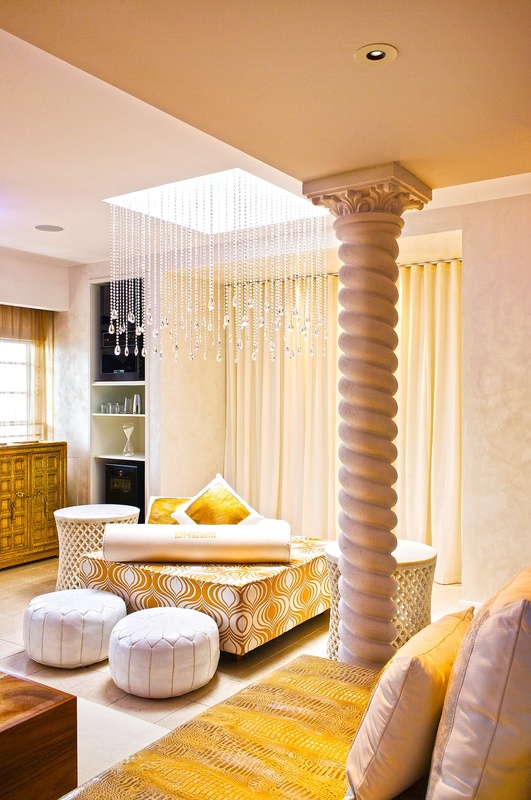 This is one of Miami’s better quality hotels, and one that boasts a distinctive spirit of urban luxury. This is a great place for a Miami rooftop party! Fantasy Wednesdays ft Drake, Sean Garrett & Bikini Fashion Show at Dream South Beach Miami Video from SirShugaShady on Vimeo.